One of the no less popular works of Vasily Perov can be considered the famous painting “Portrait of Savrasov,” written in 1878. From the biography of the artists it is known that they were very good friends, so the author was able to absolutely accurately convey all the emotions and inner experiences of a friend, which at that time constantly tormented Alexei Savrasov. His life was filled with difficulties and emerging obstacles in the recognition by society of the talent of the artist. The portrait is made in brown tones, the background is written in coarse chaotic strokes, the jacket of Alexei Savrasov is also blurred with a brush, but Vasily Perov’s face draws with incredible precision, catching every breath of his friend. Savrasov sits exactly in the chair, slightly turning his head to the side, so we can clearly see only one protruding part of the face, the second is covered with a deep shadow. Alexey Savrasov has a large portrait of the face, a large wide nose, a sloping forehead protruding above the eyebrows. 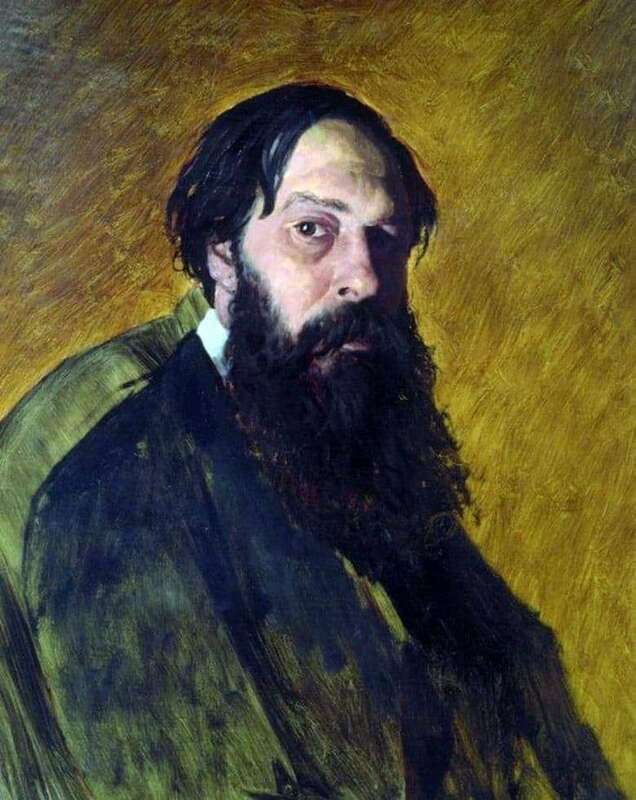 Black thick hair looks a little untidy and disheveled, the lower part of the face is covered by a beard, inherent to all artists of the past era. Savrasov glum glances at us from the portrait, as if preparing to listen to the next portion of criticism about his works, which the high society did not want to accept, despite the great talent of this man. His paintings did not have all the pomp and luxury that they wanted to see around them, because Alexei Savrasov wrote the ordinary landscapes of Russian nature. Vasily Petrov managed to convey all the drama of a friend’s life in one portrait. Looking at the face of Alexei Savrasov, one feels the power and strength of a great artist; however, after looking intently into dark eyes, one comes to an understanding of how much his thin soul is sensual and vulnerable.